MOSCOW (Sputnik) - The intra-Afghan consultations in Moscow give a clear message that all the participants in the event are united in the desire to see the withdrawal of foreign troops from Afghanistan, Abdul Salam Hanafi, the deputy head of the Taliban's political office in Doha, told reporters on Wednesday. “Today all Afghans say we do not need foreign forces in Afghanistan… The conference is giving a strong message for withdrawing occupation forces from Afghanistan,” Hanafi said. 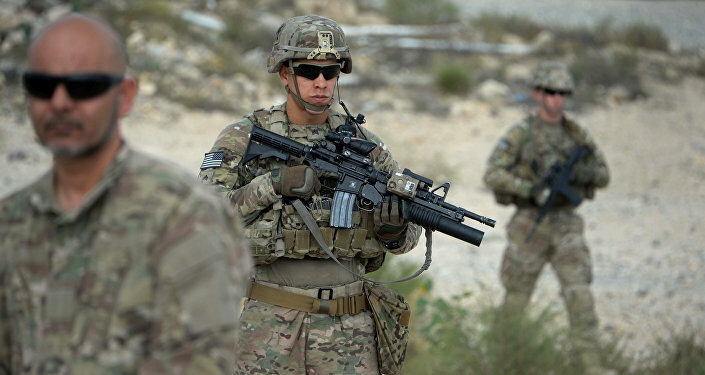 Speaking further, Hanafi, said that the United States had promised the movement to withdraw half of US troops from Afghanistan by the end of April. "Yes, the Americans told us that half of their troops will be withdrawn starting the beginning of February until the end of April," Hanafi, the member of the Taliban delegation at inter-Afghan talks in Moscow, told reporters. According to Hanafi, the schedule of withdrawal will be discussed at future US-Taliban talks. Speaking about the political aspect of the Afghan settlement, Hanafi said that he believed that any future government of Afghanistan would never be secular. "The future government will be an Islamic government… I believe that in Afghanistan a secular government is impossible," Hanafi indicated. In late January, Afghan President Ashraf Ghani vowed to try to remove all foreign troops from the country. In addition, an agreement on the possible withdrawal of the US forces from Afghanistan was reportedly reached during recent talks between the United States and Taliban in Qatar. The movement, for its part, pledged to prevent terrorist groups such as Al Qaeda (banned in Russia) from using Afghanistan as a base to carry out operations in other countries under the future deal.